How is it that whatever and whenever children eat they tend to smear it up to their eyebrows? Being a stereotypical little boy my son sometimes declines a wash. And when I say decline I mean screams blue murder and holds onto the banister as you carry him to the bathroom. As you can see from his expression…he has always enjoyed bathing. So how do we get him clean? The Konjac Baby Pack is the newest creation from the baby collection of the Konjac Company who produce environmentally friendly, natural plant fibre sponges. I did not know this was a thing. The Konjac Potato plant is porous root vegetable. Though I would not advise eating it, it does not count towards one of your five a day. When you first hold a sponge it feels hard and rough. You will need to place it under warm water until it’s completely soaked through and soft. When wet, they have a springy, soft, gel-like feel with a slightly textured surface. Squeezing one put Leo in hysterics. He usually washes with a flannel in the morning and gets very whingey when you try and do his eyes. The sponge offers a much gentler alternative. Perfect for delicate and tender skin. 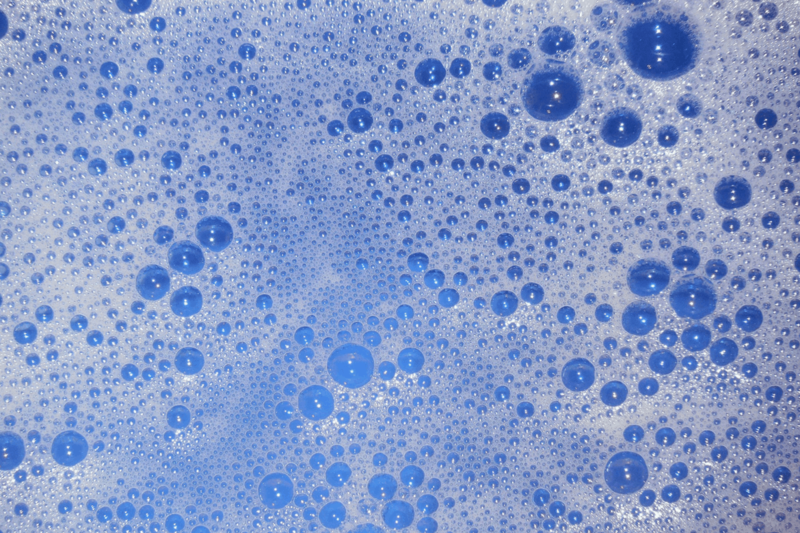 If you like you can use a small amount of baby bubbles in the bath and the sponge absorbs it from the water. It also lathers like a champ so you barely need to use any cleanser. My little delight put some of my face wash on it when I was getting him a drink. The sponges are Fragrance free. Leo liked that they don’t ‘smell weird’ (he doesn’t like my loofa as it has a synthetic scent. He also dislikes the smell of new cars and carrots. This means NO nasty chemicals or toxins for delicate porous baby skin. The fibres are naturally antimicrobial, hypoallergenic and 100% biodegradable. We like that the company are green and ethical. They carry the Leaping Bunny and Vegan Society symbols as signs of their commitment to producing natural, cruelty free skin care. I washed Leo’s hair with the sponge as it can hold a lot of water. It is much less traumatic than my usual pour a jug over his head routine. I think having a sponge rubbed over your head is pretty relaxing and is really positive as part of a sleep routine before bed. How much was I going to enjoy a sponge? Turns out quite a lot. The company also make unique and beautifully packaged facial sponges. When asked what skin type I had I responded TIRED. The pink clay infused sponge (said to improve circulation and help repair connective tissue) is ideal for devitalised faces. Perfect for after sun exposure, central heating…or not sleeping due to small people. I like that it doesn’t vibrate, rotate, electrify or brush. Keeping skin’s natural moisture intact is essential in anti-aging. I prefer to use my sponge as a facial cleanser in the morning and evening but still use remover on my eyes as I don’t want my heart going black! It was really gentle and exfoliating on dry skin without making my skin flaky. Once it is wet, simply use the flat side in small circular motions around your face to stimulate tired skin & encourage skin renewal – we can all use a bit of a skin pick me up! Don’t leave it in a soggy place like the shower and remember to replace them after a month or two. So have a wash and jump on the Konjac sponge train.